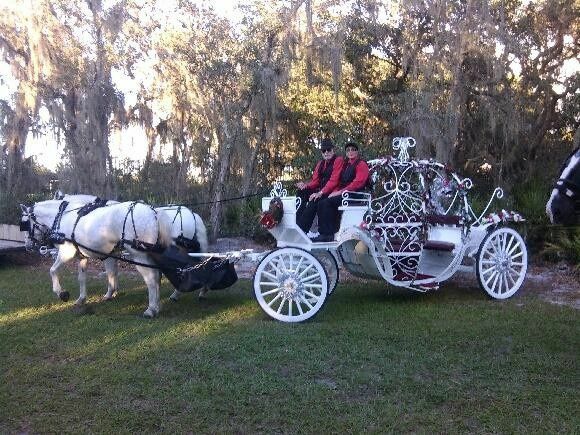 Misty Blue Acres offers horse drawn carriage rides throughout Central Florida and surrounding areas. We offer over 35 years of experience in the horse industry. 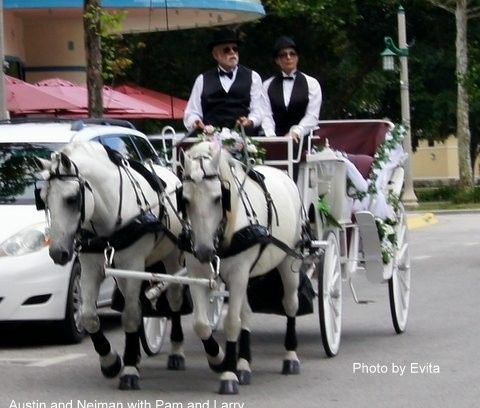 All horses are well trained, traffic safe and have been used for many different types of events including weddings, princess parties, city events, Indian weddings and therapeutic riding. Misty Blue Acres offers several types of carriages, including a Cinderella carriage, wagons, sleighs and two types of vis-a-vis. Decorations in your event colors are provided upon request. 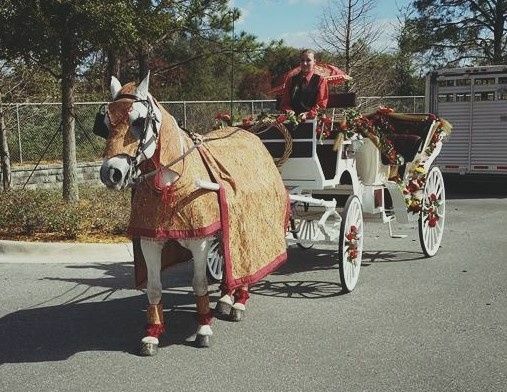 Misty Blue Acres provided the Cinderella Carriage with two horses and two drivers which add the perfect touch to my daughter's fairytale themed wedding! They decorated the carriage with flowers in our choice of colors - pink and gold. The sight of the carriage outside the church was breathtakingly beautiful!! It provided for great picture opportunities of the bride and groom. The drivers were flexible and accommodating. We had them ride the bride and groom off for the guests to see, but actually had them only ride to the back of the church for more pictures inside the church. 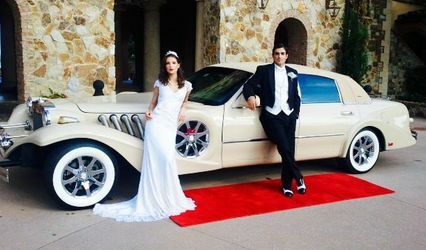 They, next, rode the bride and groom around town for more pictures and to the reception for a grand entrance!! It was beautiful!! I hired Misty Blue Acres for my wedding, they were very professional, easy to get ahold of, and very flexible. Judy, was extremely helpful and helped make my wedding memorable; she went above and beyond to ensure that she and the horse arrived on time, earlier than I had contracted for.